Have you had your wheels aligned recently? 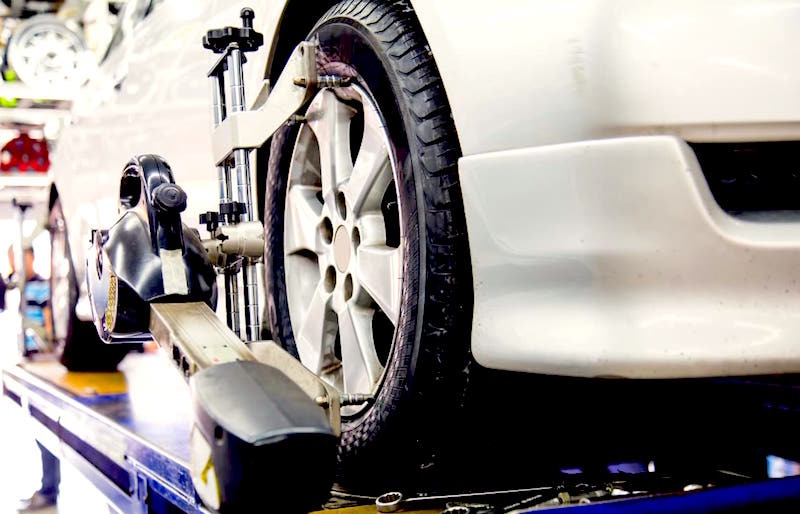 Wheel alignment is one of the many services offered by Felix Auto and Tire. It’s one of the best things you can do to ensure maximum drivability from your car. We can give you tips on when to have your wheels aligned, and we gladly provide this service for our valued Oshkosh customers! You’ll definitely need to have your wheels aligned when you get a new set of tires. We also recommend that you have the wheel alignment checked out when you buy a new or used car. No matter what the dealership or previous owner tells you, it’s always a good idea to get it checked out yourself! You should also have the wheels aligned after a minor accident such as running over a curb or into a ditch. Even though the body of your car may have come out unscathed, your wheels may have become misaligned. You might not see the problem right away, but this will gradually become a bigger issue the longer you drive with your tires out of alignment. Driving on bumpy roads isn’t good for your car for several reasons. Among them, it can bounce your tires right out of alignment. If you regularly drive on roads that aren’t maintained or if you’ve hit a pothole lately, you should see about having wheel alignment done on your car. Even the slightest bump or jolt could affect how your car drives. Given that you are an excellent driver and you only travel well-maintained roads, you should still have your alignment checked every 6,000 miles or so. Just ask your Felix Auto and Tire technician to check your wheel alignment when they change your oil. Keeping your wheels in perfect alignment will ensure that they get an even amount of wear. This will help you get the most life out of your tires, and since tires are a major expense, we know you’re interested in keeping the ones you have in good shape as long as you can! Proper wheel alignment will also make your car drive smoother. You may not notice the bumpy or shaky ride now, but you’ll definitely be able to tell a difference after a Felix Auto and Tire wheel alignment!